Email marketing has come a very long way, indeed. Once upon a time, email marketers sent out a generic batch of emails to a monster list of unsegmented contacts and hoped to hit a target audience. It was the “cast a wide net” method. The idea being, send a large enough email blast, you’re bound to snag a few good leads. However, marketing methods have changed dramatically, and it’s now widely accepted as ineffective (not to mention, bad form) to send huge email blasts to unsegmented lists. Remember to educate your visitors and address their pain points. This will naturally move them further along the buyer’s journey. It's logical when you think about it: if you're only beginning to search for a solution to your problem, you don't want a hard sales pitch. At this stage, you will want to have helpful, informative content that educates you about your problem, provides a range of possible solutions, and creates trust with your brand. Sending out an email batch is not just a way to attract potential sales and clients, it's also an active experiment each and every time. Who opens your emails? What time of day do they open them? What do they click on? How long do they stay on landing pages linked to from the email? Do they bounce off the page? Every question is a new opportunity to further refine your email list, and/or your email marketing methods. Each question answered is an opportunity to improve the relevance of the content that you are providing, and even learn something new about your buyer persona. It's critical to have a system in place for tracking 'clicks' and 'opens' so that you can further segment your email list by areas of interest and places of website exploration. And it certainly doesn't hurt to have Google analytics in place and tag your links so that you can continue to track the visitors after they click. Maybe all of your tracking will lead to questions that can only be answered through an A/B testing campaign. Using the A/B method of testing, you divide your list into two equal segments, and then change one clear element, such as subject line or time of day for the send. Examining the results can produce surprising insights into your contact list, and an informed path for improvement. Which brings us to the final, critical factor in creating the very best content for your email list: continuous improvement. 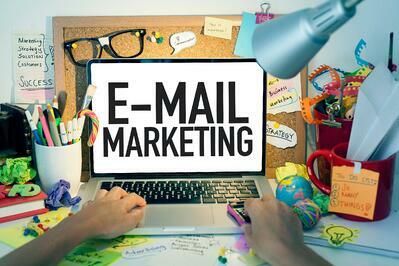 Don't get comfortable with your email marketing as it stands. Always look to analyze, test, and improve. This is an ongoing process each and every time you send out an email. What worked in the spring may not work in the winter. What gathered your persona's attention a year ago may not be relevant to them today. Don't forget: email that delivers relevant content to a relevant audience results in more opens, click, and leads. Good luck with your email marketing efforts! Do You Have Your Buyer Personas Outlined Yet?